The motor yacht "KAHU" was originally built as a New Zealand Navy "MOA" class vessel by Whangarei Engineering & Construction Ltd. in Whangarei, NZ in 1979. She was rebuilt, lengthened, and re-purposed as a long range expedition yacht by Fitzroy Yachts in New Plymouth, NZ in 2012 for a family with sites on exploring the world. She's now logged thousands of miles. The current owner has enjoyed several trips throughout the Bahamas and the Northeast Coast of the USA. Her draft (under 8') has allowed her to safely access shallow areas. At the same time, she is heavily constructed of steel plate and framing and to meet light ice class conditions. This is a very special offering that we invite you to inspect in Florida. She has been around the world 7 times! Where will she take you? NOT FOR SALE TO US RESIDENTS WHILE IN US WATERS - REGISTRATION ST. VINCENT. United Yacht Sales New Jersey would love to guide you through a personal showing of this 122' Whangarei Engineering Fitzroy Yachts Nz 1979. 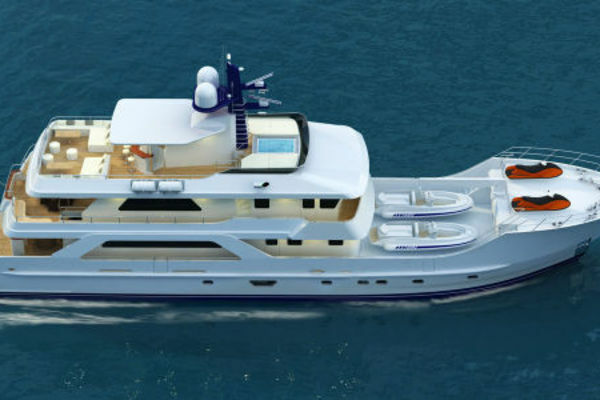 This yacht for sale is located in Ft. Lauderdale, Florida and priced at $2,725,000. For a showing please contact us by filling out the form on this page and we will get back to you shortly! KAHU was originally built in 1979 for the Royal New Zealand Navy. Known formerly as "HMNZA Manawanui" she served as a dive tender and participated in the exploration and salvage work of the MS Mikhail Lermontov in March 1986. In 1988, she was recommissioned as a training vessel for the Royal NZ Naval College and renamed KAHU, the Maori name for the harrier hawk. Kahu served until 2009 when she was decommissioned and sold as a pleasure craft. KAHU's new owners embarked on a major 2 year refit with Fitzroy Yachts of New Zealand, extending her length from 92 to 122 feet. The bulwarks were raised up forward and the whole superstructure was replaced. They added a sewage treatment plant, water makers, stabilizers, bow and stern thrusters, an anchoring system, and upgraded all of the electronics. Her fuel capacity was increased, now giving her an 8,000 mile range. KAHU has traveled the world many times over. 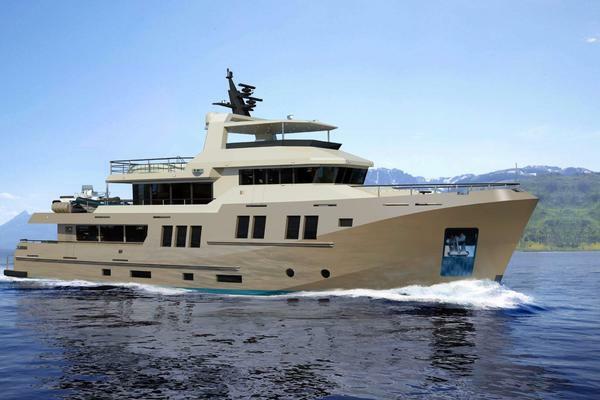 She is built to handle light ice but also has a shallow enough draft to travel the Bahamas, as her current Owners do at every opportunity. Where will Kahu take you? (2) Cummins KT 19 inboard shaft driven, diesel, In Line 6 cylinder, 365 hp. Full overhaul completed February 2018! 80 hrs SMOH. Complete bottom Job down to metal primer and 2 coatsof antifoul. Service all through hull fittings and values. Complete rebuilds of both Main Engines and both generatorsincluding new pistons, rings, bearings, rebuild turbo's, heads rebuilt, Startermotors, Injectors, heatexchanges, exhaust bellows. Now 80 hours on Main engines.